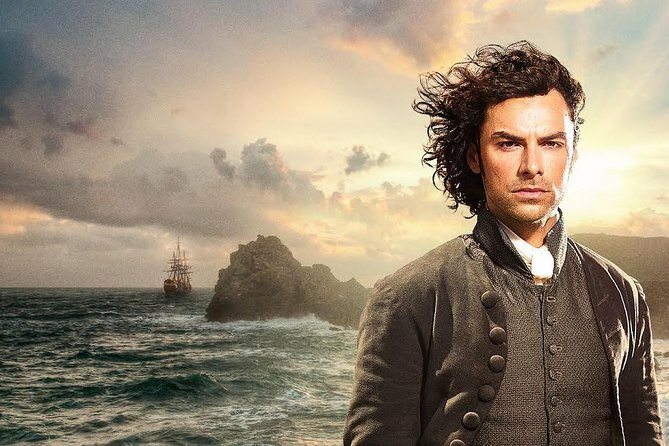 Calling all fans of the hit TV series ‘Poldark’, this private 9-hour tour with optional pick ups in Launceston / Truro and St Austell showcases the beauty of the show’s filming locations in Cornwall. Alongside your guide, you’ll visit important Poldark sites of outstanding natural beauty: Charlestown Harbour, Penbeth Cove, Botallack Manor, and Pedn Vounder beach are just some of the scenic spots covered. Hotel pickup and drop-offs in Cornwall are included on this private tour. Your tour begins at your local hotel, where you’ll board a private vehicle and greet your guide. During the scenic drive to Cornwall’s coast, your guide shares insider knowledge and fascinating facts about the hit BBC TV series. Stop first at Charlestown Harbour, an unspoiled Georgian port used as the location for Truro Harbour in the show. From here, proceed to Penberth Cove, a picturesque fishing cove that you’re sure to recognize from series two of Poldark. Then, travel to Porthcurno and enjoy sweeping vistas of Pedn Vounder beach, featured in series one and two. Capture photographs of this scenic location, considered one of Cornwall’s most iconic photo spots, before you arrive at Porthgwarra and your guide contextualizes the site. You’ll then have the opportunity to purchase lunch in a restaurant recommended by your guide before heading to the beautifully preserved mining town of Botallack. Feast your eyes on Botallack Manor, a farmhouse used as Ross Poldark’s home, and then wind your way along the scenic coastal road to St. Ives. Bid your guide farewell after drop-off at your local Cornish hotel.